A night of poor quality sleep will result in a poor day’s work for eight in ten workers in Ireland, according to research. We already know that poor sleep will result in us feeling tired, cranky and not being able to concentrate. So why is it that we don’t appreciate how important sleep actually is? Lack of sleep will result in poor judgement, high risk taking, accidents, poor work performance and low morale. 74% of people said they would like to get at least 7-8 hours of sleep but only 34% where actually getting this. 51% of people were getting only 5-7 hours of sleep. Most job situations require focus, to complete tasks within a certain time and to make important decisions which are sometimes critical. Sleep is a challenge for most of us, and not getting a good night’s rest can have a significant impact on how you feel and perform at work the next day. Life happens and you don’t always know what will happen. Life is not linear, it’s fluid. When we have a poor night of sleep, we react to events rather than have more control in our responses. We lose that ability to reason and instead we act out the automatic responses that the reptilian brain instructs. Our logical brain is not as highly functional when we are sleep deprived and so the instructions come from where all our pre-programming is stored, the reptilian brain otherwise known as the unconscious mind. This negative impact on how we behave can be seen in people with a low morale identity. Often, people lacking in good quality sleep will have less self-control resulting in selfish impulses. They may take extended lunch breaks or slip home from work a little early or not co-operative in team work. Absenteeism increases, resulting is less profitability and productivity at work which amounts to about €1.5 billion per year in Ireland according to IBEC. Our reactions times are significantly reduced making it dangerous to operate machinery, driving and equipment. 1 in 5 fatal accidents in Ireland are a result of driver fatigue according to RSA. Our perception and how we think about something will change our behaviour and attitude towards whatever that is we are focusing on. Therefore, if we change how we think about sleep and understand what sleep does and why we need it, we will start to appreciate it more and value it. The number one cause of sleep problems in a workplace is worry. Excessive worry can lead to mental health problems like stress, anxiety and depression. A key way to protect your mental, emotional and physical health against the effects of work related stress is to ensure you have a healthy work-life balance. Have a good trust relationship with your employees, value them. Set achievable goals, targets and deadlines. Having a healthy lifestyle will result in strong work performance. Many companies are now beginning to identify with this and engaging in health awareness with activities like healthy eating and exercise. While this is a positive step forward, we must not overlook sleep because ultimately, it is sleep that is the foundation of all our health and lifestyle wellness. Together these health pillars will lead to a stronger and more productive performance resulting in a bigger bottom line, health and happiness. Sleep is a life support system. It is a non-negotiable necessity and not a luxury. Sleep well and live well. If you enjoyed this article and would like more information check out Johann’s upcoming events, talks and online programs. Don’t Lose Sleep Over Christmas! 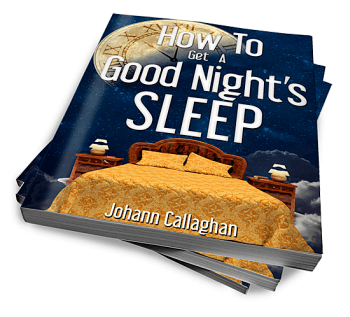 This book will show you how to sleep well and have a healthier & happier life! 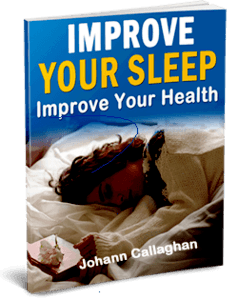 Johann Callaghan is known for helping to empower people to live a healthy and happy life. 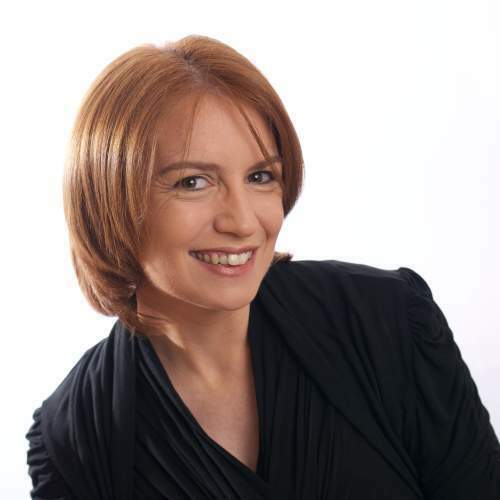 As an author, speaker and online trainer she helps people overcome their health frustrations by taking actions to take back control of their health in workshops, talks and online courses.